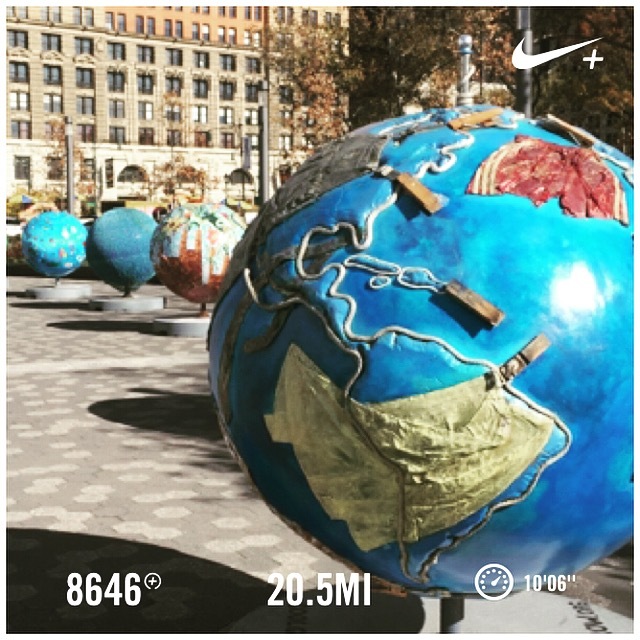 I ran my first 20 miler this past Monday and it was good, it was bad but most importantly it was accomplished! 1) Pace yourself! Even if you are feeling great try not to speed up. Now this was my first 20 miles ever!!! So it was a learning experience. 2) Eat a good breakfast before hand! I had 2 pieces of cinnamon raisin bread with crunchy Pb and some walden farms syrup. Or as I like to call it. “bootleg French toast”! I also hydrated with half a bottle of Gatorade mixed with a full half liter of water. 3) Sour patch kids. Yes you heard me correctly! I received this tip from one of the Nike Run Pacers. I had run out of shock blocks and didn’t want to wait for the store I usually get them from to open. So, I bought a small bag of watermelon sour patch and stuck them in my runner waist pack! It is sugar and carbs and a great substitute if you run out of your preferred energy source. my favorite are The Cliff Bar shock blocks in strawberry, fruit punch, or margarita. After a nice foam roll. And just laying under the shower I realized I felt like crap but it wasn’t the end of the world. So I know what sucky feels like and I still pushed through it. Which means I can push through for this Marathon as well. One should always reflect on a past experience we perceive as the worst experience ever!! Just kidding. But it was the feeling I had at that moment. The sense of victory and accomplishment was so much more fulfilling then I could of imagined. I can’t wait to see what the Marathon brings me. T- 9 days!!! Previous Post Life, Fear, Balance and Conquering it! Good luck!! You’ll be prepped now that you’ve run a 20. I am running 14 this weekend and kind of nervous about it. I’ve done it before, but always tough to start marathon training again. Happy running! Thank you for the encouragement! Good luck on your 14 miles!